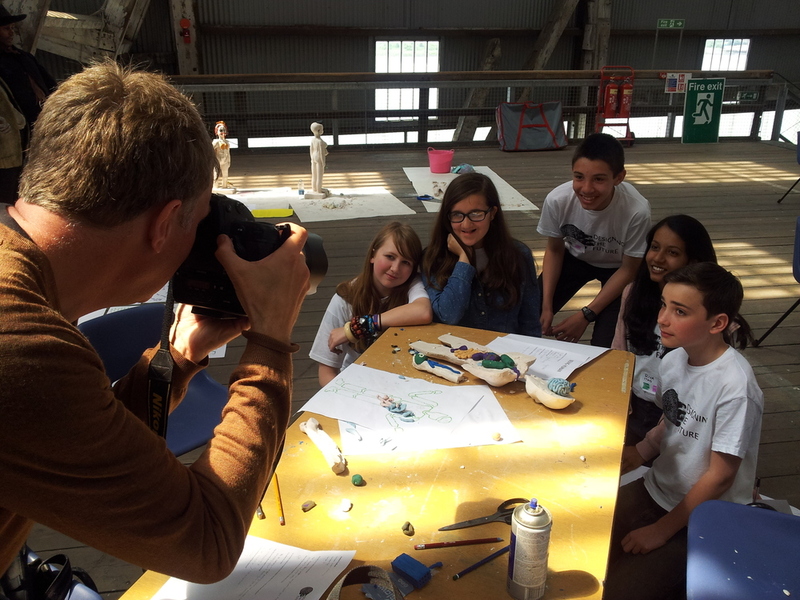 On Wednesday 18th June 7 students from year 9 represented TGS at the historic Dockyard in Chatham as part of the ‘Designing the Future’ event to celebrate the centenary of the Rochester Bridge Trust. Georgi Payne, Sophie McInerney, Jasmin Leung, Julia Wang were involved in a workshop led by Architecture and Product Design students from the Royal College of Art. They worked with the theme- ‘Silver linings in Hackotopia’ and were encouraged to consider how many of the things they use today will be redundant in the future. The students tried to find creative solutions when using these objects as media to create some thoughtful and imaginative solutions. Natasha Nicholson-Going , Stephanie Viola and Riya Patel worked with a Design Interactions student from the RCA and thought about how the human body could change for the world of the future. They were given a plaster model of the human boday and set about adapting it to meet the demands of a future world. The girls had a fantastic day at the dockyard working in the impressive Slip 3 building. The exhibition ‘Designing the Future’ which features work created by all students involved will run at the Historic Dockyard from June 20th –July 10th. Newer PostTGS triumph in Mathematical display design!